New weapons, vehicles, clothes and radio station available now. The second part for Grand Theft Auto Online’s Ill-Gotten Gains DLC is now live for all platforms. 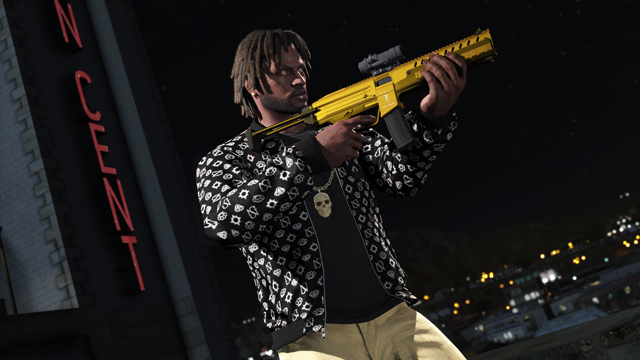 It brings another cadre of new weapons, vehicles and clothes for the big-spending, heist experts of GTA Online along with a few new fixes. The new radio station which arrived with the PC version, namely The Lab, will also be available to the Xbox One and PS4 versions with this update. Some of the new vehicles include SUV Coil Brawler, Progen T20 and the Inverto Coquette Blackfin along with the Lampadati Toro speedboat among other equipment. You’ll also be able to pick up the Knuckledusters and Marksman Pistol as new weapons. Along with the DLC, there will also be a double RP and cash weekend for players to take advantage of. So far it’s been confirmed that PC, Xbox One and PS4 have received the update so expect Xbox 360 and PS3 to follow shortly after. What are your thoughts on the new content? Let us know in the comments.